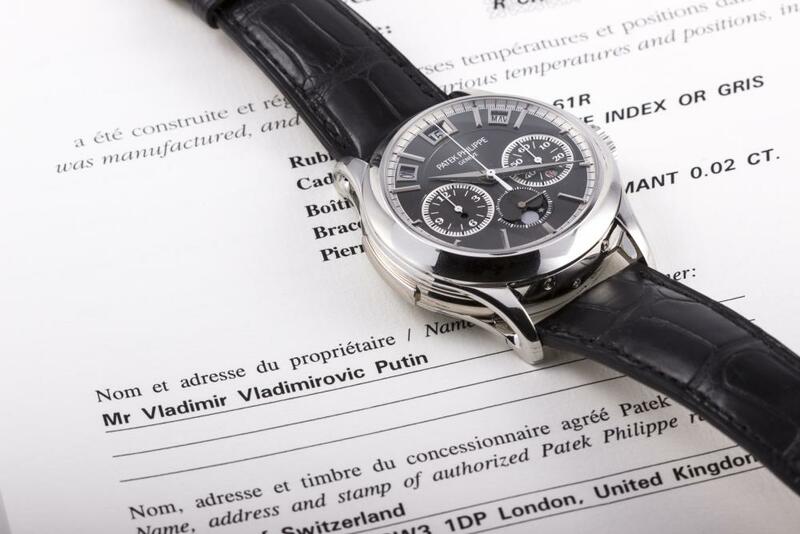 Vladimir Putin’s Patek Philippe 5208P Grand complication found and is going up for auction with Monaco Legend Auctions. The watch is one of Patek’s best pieces that to own this only the top clients can own by application a familiar process to new limited edition and exclusive Porsche’s & Ferrari. The watch is a thing of beauty as most Patek Philippe’s are the watch has minute repeater, a mono-pusher chronograph, and an instantaneous perpetual calendar wow! and at a cost of 980,000 CHF not for the faint hearted deep pockets needed. 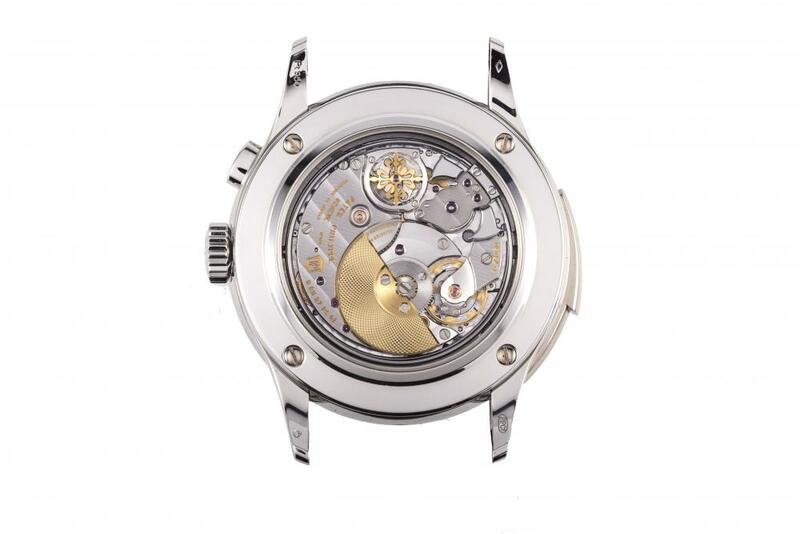 The 5208 Self winding minute repeater. The name Vladimir Putin is on the papers and was sold by Watches of Switzerland in London but if not 100% confirmed was his watch but Patek Philippe would on sell this watch to the named person on the papers also with the application process more than likely was Mr Putins watch. 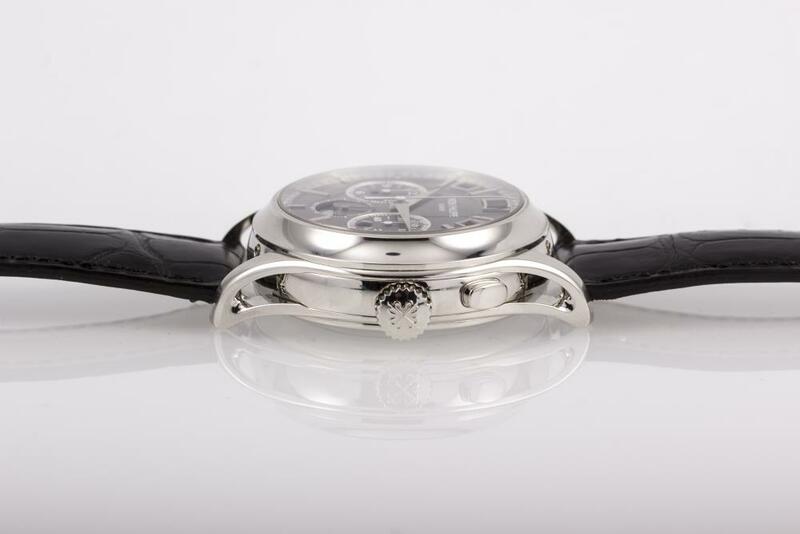 The watch is made in precious metal Platinum and is 42mm the case size with pierced lugs a very nice touch, a perpetual calendar date means you set the watch and if constantly worn will keep the correct date and time up to 100 years even allowing for the leap year. 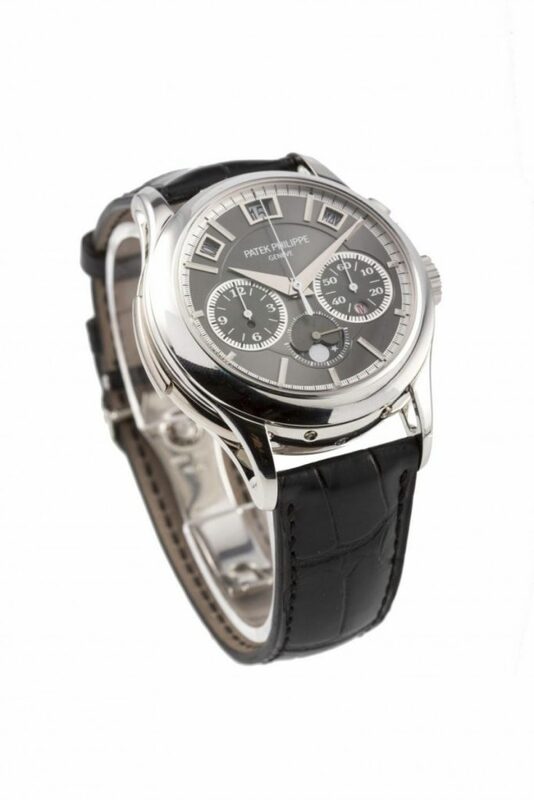 Patek Philippe are no doubt one of the best watch makers in the world I always found a lot of their models are more dress watches, very very classy stunning beautiful in every way. Overall do not think will ever own one or see one of these pieces. 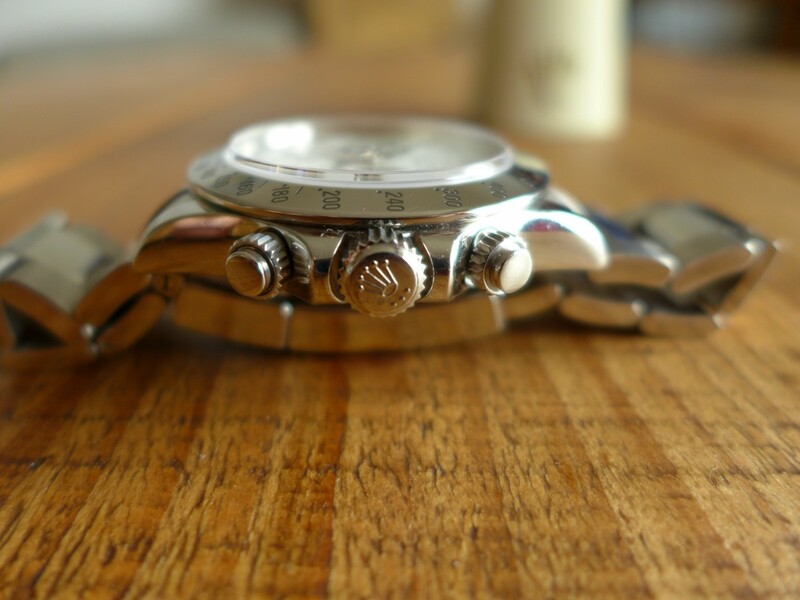 be nice to see what the watch fetches at auction.